If you are here, it means you are piecing together the spring puzzle. Here are the instructions and template to get you started. Cut out this puzzle template and each day starting on April 3, until April 16, find a photo of one of the twelve puzzle pieces; attach it to the correct square until you have all twelve. All Spring puzzle pieces must be originals and all pieces must be in place to be able to redeem entry. 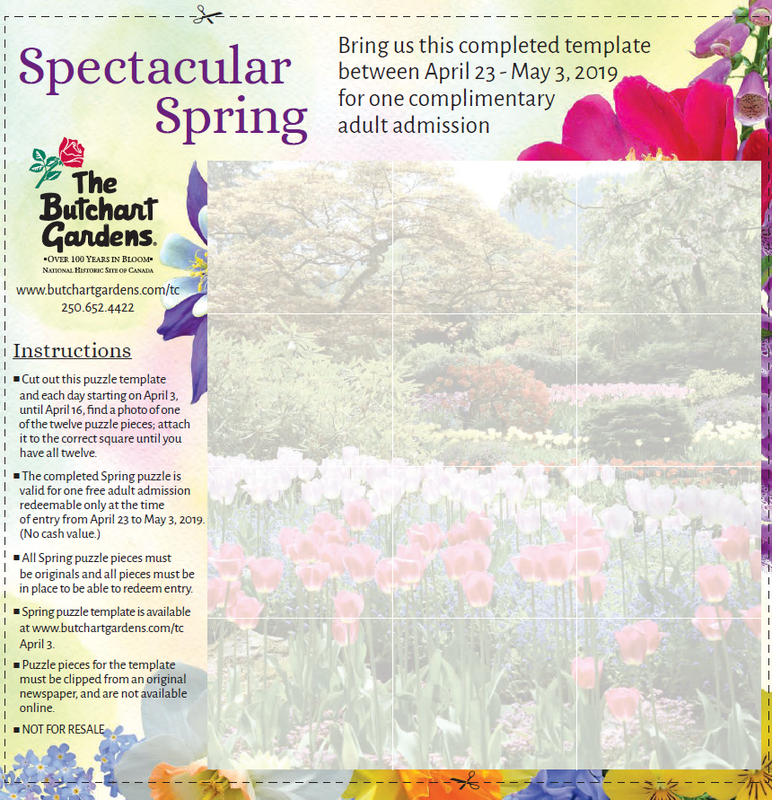 Spring puzzle template is available at www.butchartgardens.com/tc April 3. Puzzle pieces for the template must be clipped from an original newspaper, and are not available online. Download and print the template by clicking here.